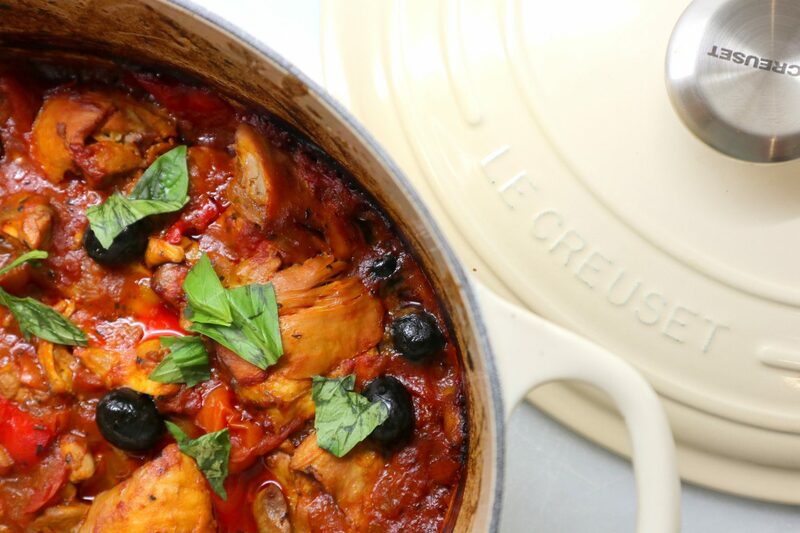 This hearty and flavoursome one pot italian chicken will become a go to in your house, it has become in ours! It is naturally gluten and dairy free and so simple to put together. Preheat the oven to 180C Gas Mark 4. 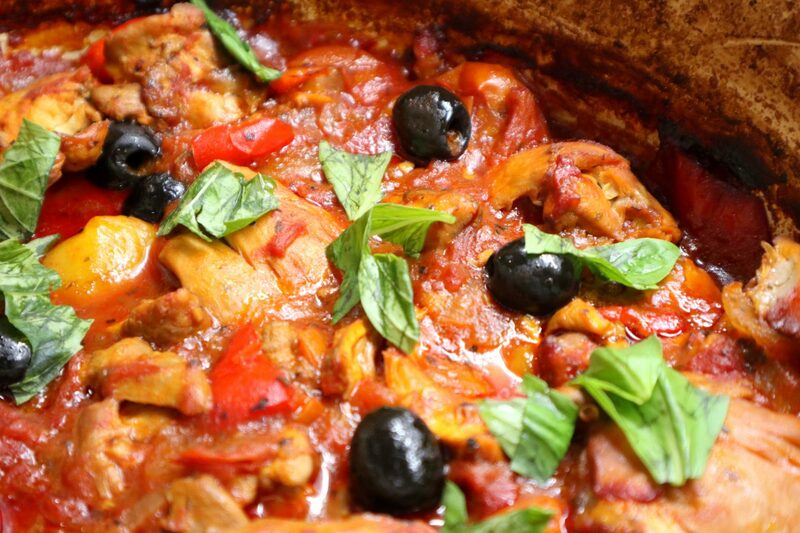 Put a casserole or cast iron dish over a medium heat, with a splash of olive oil. Chop the onion into medium chunks and toss into the pan, along with the crushed garlic. Roughly chop the pepper and add this to the pan too, along with the dried herbs (basil & oregano). Stir constantly until both the onion and pepper softened slightly. Add the chicken thighs to the pan and keep moving until the thighs have browned all over. Once the meat is brown, add the tin of tomatoes, red wine, tomato puree, chicken stock pot and a good grind of salt and pepper. Combine well. Rinse out the tomatoes tin and fill half way with water, add this to the pan to add a little more moisture. Add more water if it looks like it needs it (I usually do this part by eye). Throw in the cherry tomatoes and black olives. Put the lid on the dish and cook in the preheated oven for 50 minutes until the sauce has reduced down. Remove from the oven and finish with a little torn fresh basil. Serve with baked or mashed potatoes and greens, or any sides you like! 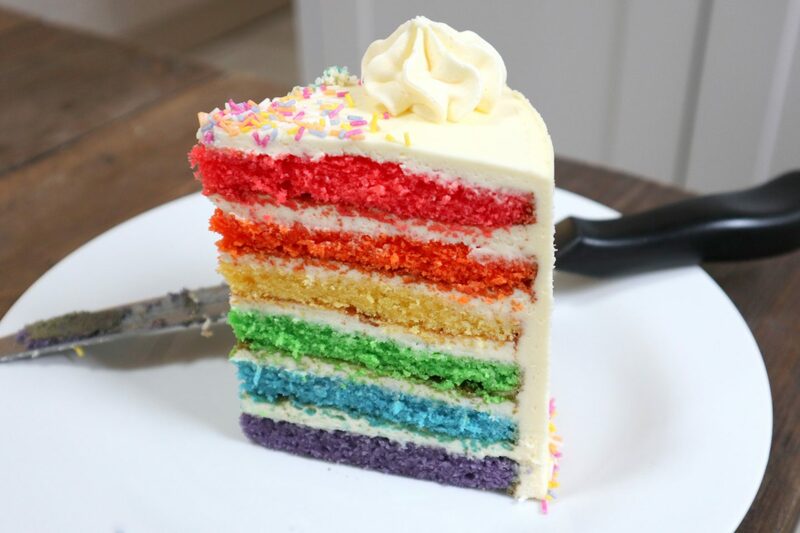 I hope you like this recipe. Let me know what you would like to see next? how many does this chicken dish serve? I’d say 4-6 people, depends how hungry you are! You can always pad out with more chicken thighs / tin toms and stock/water.